New EKG Machine For A Mobile Clinic: Wish Granted! Words cannot express my sincere gratitude to The WishWall Foundation for advancing the growth or our mobile clinic. I pray that many others like myself will continue to donate and spread the love that this community has bestowed on many of us including myself. 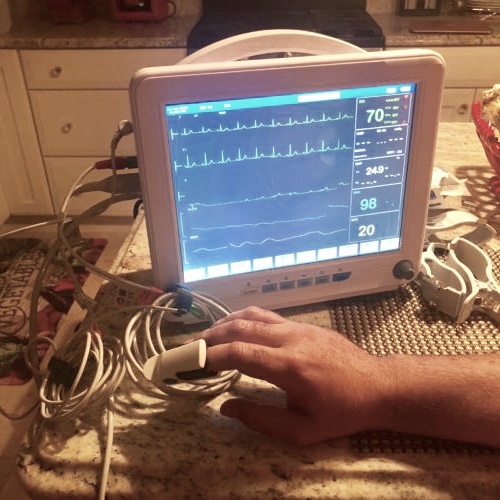 I am grateful that Simonetta Lein not only posted my wish on the wish wall, but on November 14, 2018 my wish came through and I am able to care for my patients with a brand new, state of the art, blood pressure and EKG machine courtesy of Simonetta Lein and her team at the WishWall Foundation.